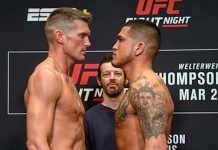 The last time we saw former WEC and UFC Lightweight champion, Anthony Pettis in action he was covered in blood and looking for submissions off his back against Dustin Poirier at UFC Fight Night 120 on November 11. 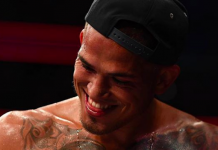 Pettis lost that fight via TKO from a rib injury he sustained when Poirier transitioned off his back into mount on Pettis. 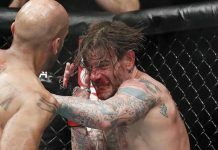 This loss made the former champ 2-5 in his last seven outings, which also meant he has yet to put together a winning streak since he was the UFC champion back in 2014. 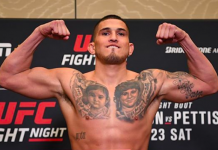 Pettis appears to be healing up though and has a date targeted according to Ariel Helwani who confirms that Pettis wants to fight on the UFC’s next London card which is on March 17. No potential opponents were named by Helwani… But Nolan King reports that there has been at least some discussion that the UFC is looking at the rising star, Mairbek Taisumov for Pettis’ next opponent. Pettis would indeed be Taisumov’s biggest name opponent to date but that’s exactly what he’s been asking for. Taisumov has been practically begging for a top 10 challenger and while Pettis may not be ranked right now, he’s the next best thing. The man known as “Beckan” has been on a tear as of late with five straight victories that have all come by knockout or TKO. He is not one who often lets fights go to decisions as only ONE of his twenty-seven victories has come by decision(sixteen knockouts/TKOs and ten submissions). 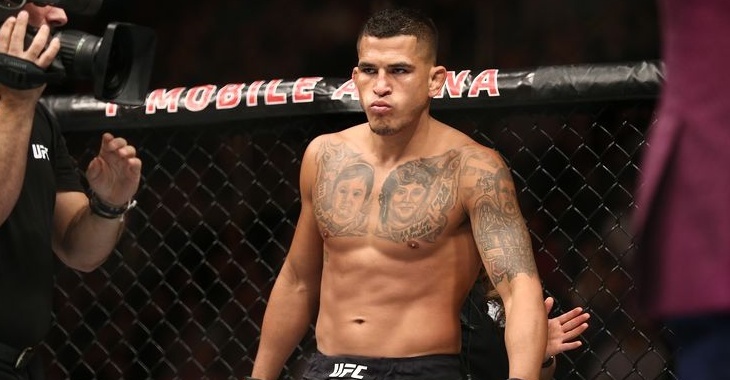 Who do you want to see Pettis fight next? 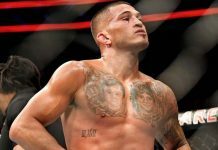 This article first appeared on BJPenn.com on 1/9/2018.